Who doesn’t dream of becoming a Jedi? For “Star Wars” fans who like to show their love for the bright side of the Force and at the same time proudly represent it. How could this be better than with these Yoda socks with protruding ears? With the Grand Master on your own body, on your foot to be exact, the Force is always with you! The socks are available in one size (shoe size 36-44) and draw the spotlight through their 3D variation in the form of handmade and sewn-on ears in matching color scheme and are convincing through their high-quality appearance. Due to their cotton construction they are breathable and at the same time comfortable and cuddly. The design, which is reminiscent of the cartoon version of the popular character, also makes the sock pair timeless and interesting for all age groups. Potential to achieve great things? Whether as gimmick, attentiveness or gift for a special occasion. 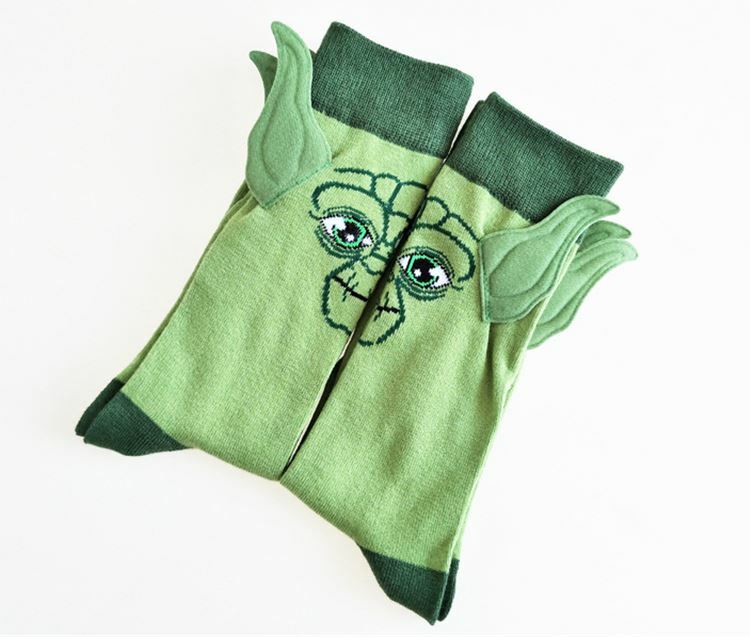 The socks in the Yoda design will not be found in many drawers and their 3D ornaments will stand out optically from the well-known and simple stockings. However, one should not have too great demands on the quality offered. For the comparatively low price, the socks are probably more suitable for special occasions and not necessarily for everyday use. However, this does not change their effect as a magnet for attention! Also interesting for fans of the series and those who want to complete their Jedi look: here the bathrobe in the look of the classic Jedi costume. Optimally equipped for the movement of resistance. Will you honour the rich heritage of the Grand Master? The Rebel Alliance is counting on you.